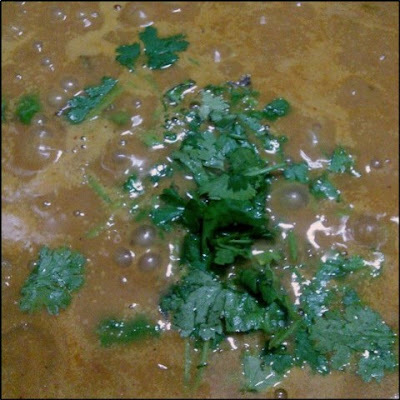 A protein rich dish with a creamy coconut gravy, this kurma is a perfect accompaniment for dosa, chapathi or pooris. The flavours of soybeans and mushrooms complement each other perfectly. 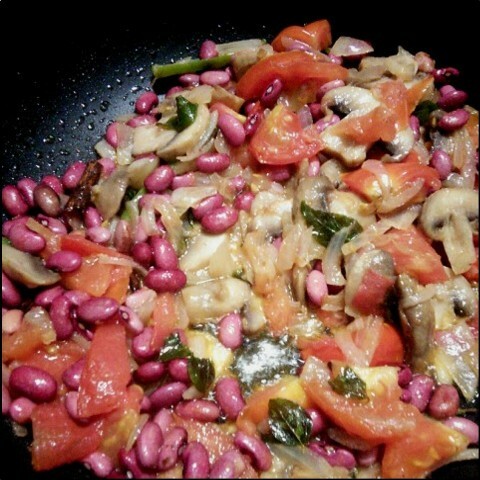 For this recipe, I used fresh soya beans, but you can use the dried soy beans also. If you are using dried soya beans soak it overnight and pressure cook for 5 whistles. 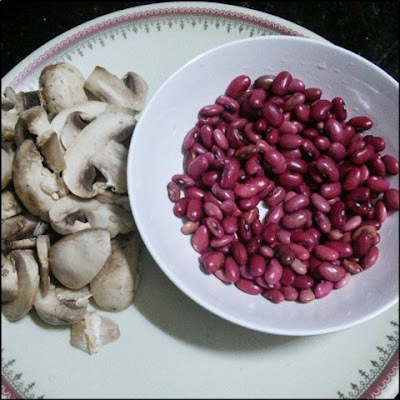 This method of mushroom kurma with red soya beans is very easy to make with little preparation work. 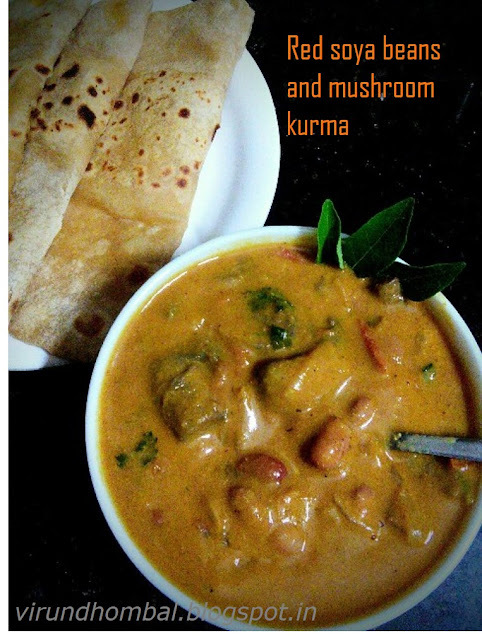 I always prefer medium consistency kurma which is easy to pour over chapathi, dosa, pulav and poori. This kurma has very few spices in it and gets thick with fried grams. Addition of fried grams and milk skin is optional. You can replace it with cashew nuts and thick cold milk. 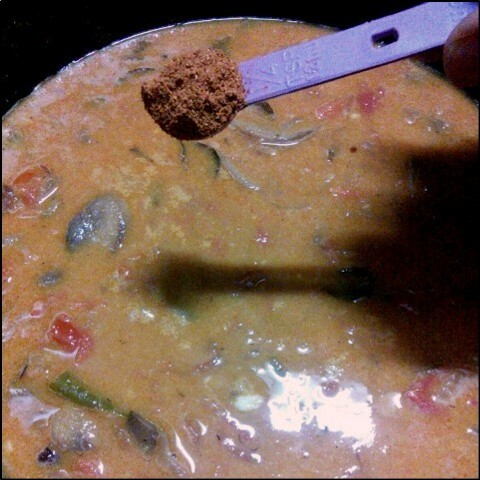 Make sure to use fresh mushrooms and fresh coconuts for the kurma. Now let's see how to prepare this Red Soya beans and Mushroom Kurma with step by step photos. 1. Wash the soya beans and drain the water completely. Clean the mushrooms and cut them into small pieces. 2. 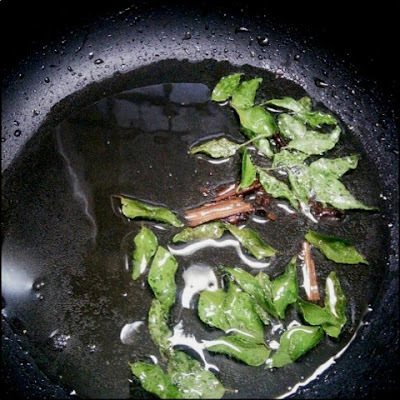 Heat 2 tbsp oil in a pan, add the cinnamon, cloves and curry leaves. Saute for a couple of minutes until the curry leaves turn crisp. 3. 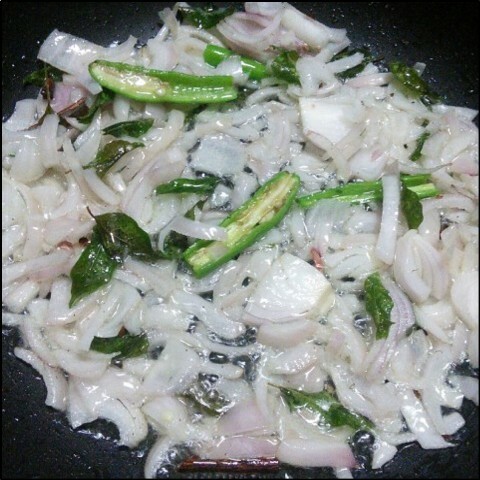 When it gives you a nice aroma, add the sliced onions and slit green chillies. 4. 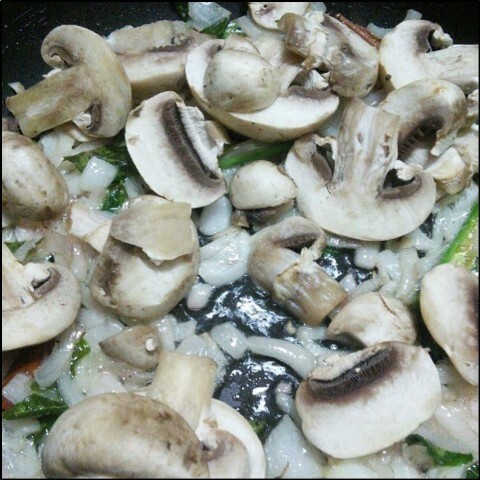 After few minutes, add the mushrooms and cook, stirring occasionally for 5 to 7 minutes or until the mushrooms are lightly golden. 5. Next, add the chopped tomatoes. 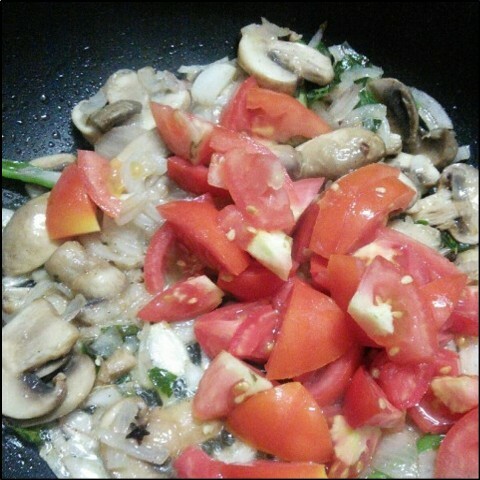 Saute and cook till the tomato pieces are soft. 6. 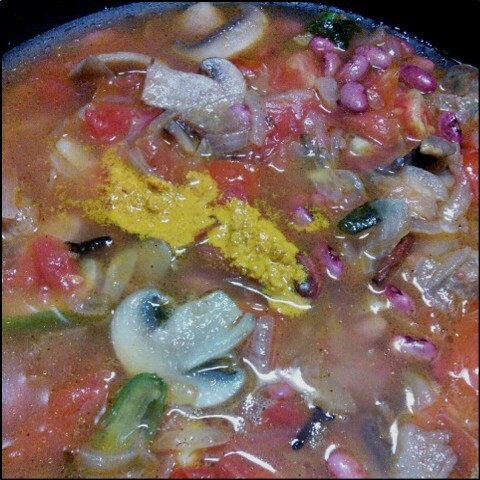 Next, add the red soya beans and saute it for a minute. 7. Add 2 cups of water and turmeric powder. Cover and cook the beans for 15 minutes on medium heat. In the meantime, grind the coconut, fried gram and garlics to a smooth paste. 8. When the soya beans are cooked well add the required salt. If the beans seem a little hard add a little more water and cook it for another few minutes. 9. Then add the chilly powder and coriander powder to the gravy. Now add the ground coconut paste to it. Mix it well. 10. Now add some more water and garamasala powder to it. Allow it to boil for 5 minutes. 12. 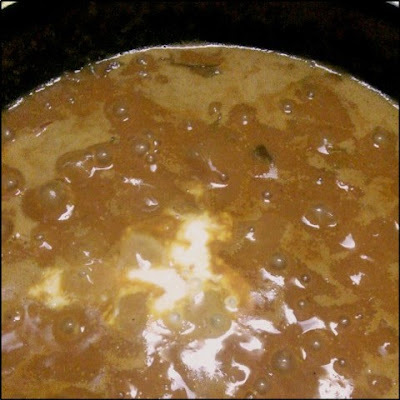 When it boils well reduce the heat and add 2 tbsp milk skin to the kurma. Stir everything together until evenly combined well. 13 . Finally, add the chopped coriander leaves and switch off the flame. If you want a thin consistency, just add a little milk or water. 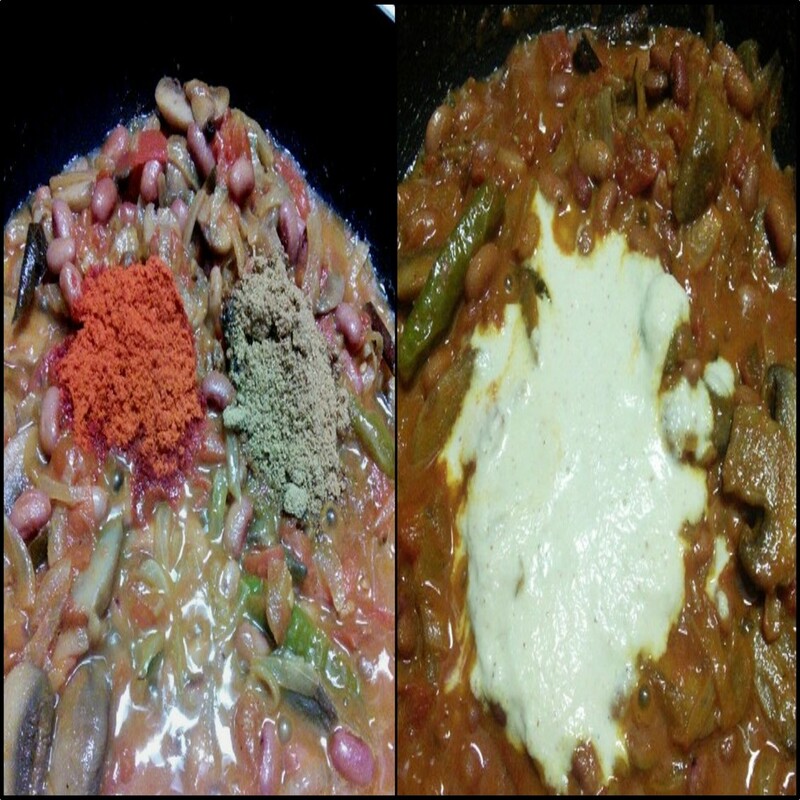 The kurma will thicken more after cooling. 14. Tasty and healthy red soya beans and mushroom kurma is ready to serve. If you do not have milk skin just leave it. Do not add more fried grams for the paste because the kurma will be more thicker and the fried grams will absorb the flavours quickly. Hai Bhavani this is not Rajma. 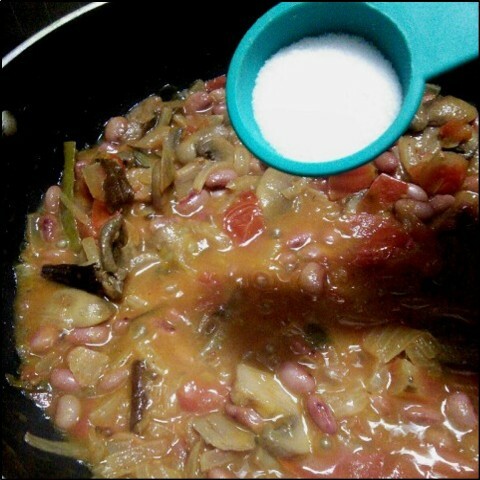 Fresh Red soyabeans is available in vegetable shops. If you are using dried soyabeans soak in water for 4 hours and pressure cook them. I have used fresh soya beans for this kurma.